Indulal C Kamdar leads by example. His life sets an example for not just senior citizens but all citizens. Extremely disciplined, this highly intelligent activist is a valuable asset to society and to Manav Seva Sangh where he leads the activities of the day care centre as a volunteer. As a businessman, Mr Kamdar was instrumental in expanding his family business through his entrepreneurship and travel abroad. In his long innings as a trader, he was determined never to pay a bribe for a contract and yet managed very well through his spirit of enterprise and hard work. His strength was his research and the grasp of the law. Whenever somebody tried to deceive him, he surprised them by throwing the rulebook at them citing chapter and verse. Humble, easy-going and reticent to a fault, Mr Kamdar refuses to accept any official position but is most satisfied if he gets to help elderly people in distress. 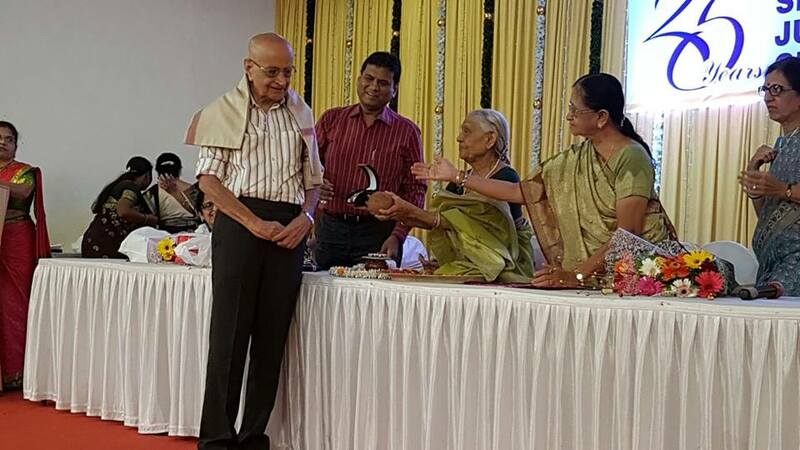 He was instrumental in getting started the first dedicated helpline for senior citizens in Mumbai at Manav Seva Sangh, helps organise many tournaments and guides the elderly on the entire gamut of issues facing them. He is the go-to person for a senior citizen in distress whether he has a medical, financial, property-related, family-related, psychological issues. He pursues his cause with a missionary zeal and has collected an army of followers who have greatly benefitted by associating. A veritable encyclopedia of information on almost every subject from law to health to governance, he has influenced many lives with his selfless guidance, support and help. Blessed with a vibrant personality that lightens up the atmosphere wherever he goes, Mr Kamdar is a role model for the elderly. While he loves to help others, he remains fiercely independent himself. Capt Haridasan, started his career in Indian Navy after his graduation in Mechanical Engineering. He was in active service during 1971 India - Pakistan war. He had undergone much specialised training in IT and was in the team that pioneered Computerisation in the Indian Navy. After taking premature retirement from Navy, he served as General Manager (IT) in Mazagon Dock Ltd, and in senior positions in many IT companies like Tata Infotech. He has widely travelled in Europe, North America, Africa and Middle East. He believes that, retirement is only a life style change, and life must go on and on. He realised that the best way of living retired life is remaining active by doing creative work and upgrading one’s skills or do something useful for the society. For the benefit of senior citizens he, developed and has been maintaining a website www.lifegoeson.in, which gives information on how to grow old gracefully by enjoying retired life. His family tree, which he hosted on web, has details of 1200+ family members and the history dating back for more than 200 years. He teaches Business Management students at reputed management schools in Mumbai & Thane. He keeps in touch with technology, young professionals and industry. 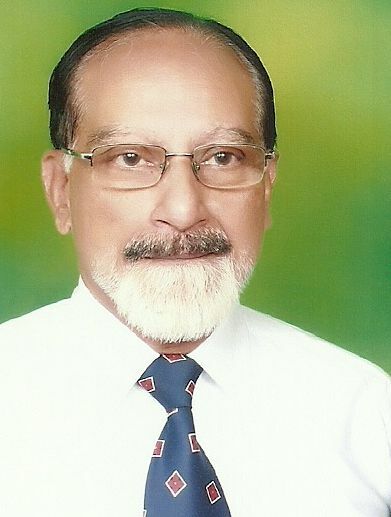 He is also life member of Bombay Management Association. His passion for nature made him do a course in Biodiversity. He is a member of BNHS. 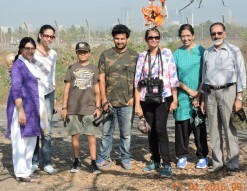 He is an ardent birdwatcher and has been birding in many bird sanctuaries all over India and in North America and United Kingdom. He is also actively involved in social work, to pay back his share, to the society with gratitude. He works with NGOs engaged in senior citizens welfare. His objective is to motivate senior citizens to live their silver innings, as Robert Browning stated, "Grow old with me the best is yet to be". He is also an RTI activist and registered RTI consultant with All India RTI consultant Association.